Sea Point in Cape Town has become a popular place for those seeking Middle Eastern culture. 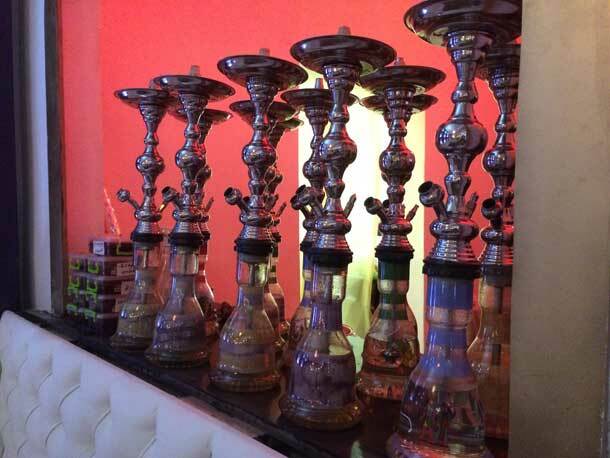 Several Shisha venues have sprung up and Middle Eastern cuisine abounds. Syriana is literally the newest kid on the middle eastern block. 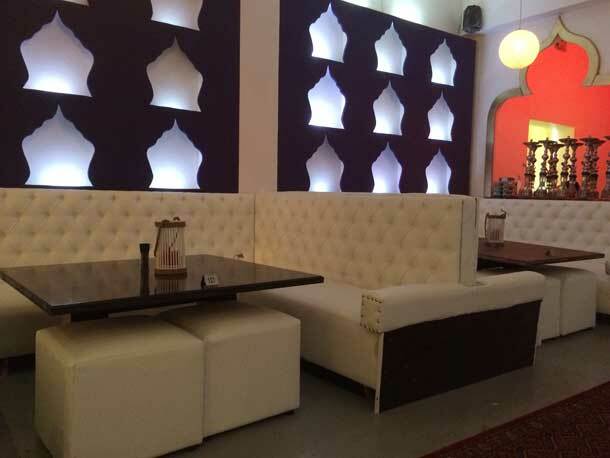 Serving authentic Syrian food in a fully halaal restaurant. Situated on Sea Point’s busy Main Road, the restaurant is easy to find with its bold signage. We were welcomed by Sultan Saleh, co-owner of Syriana. 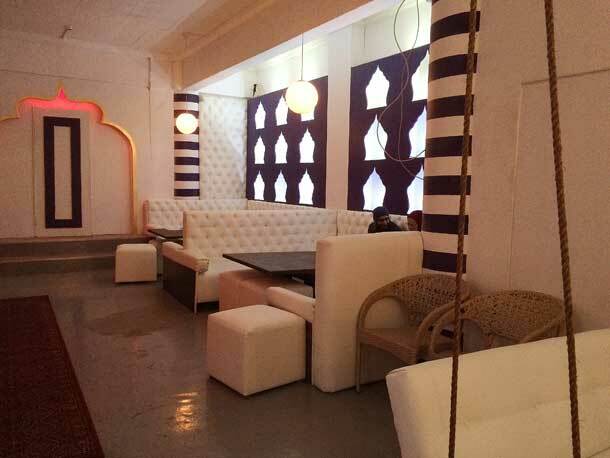 The restaurant is divided into 2 sections, the front area decorated in warm, brown leather, booth style seating with low tables is a smoking section. 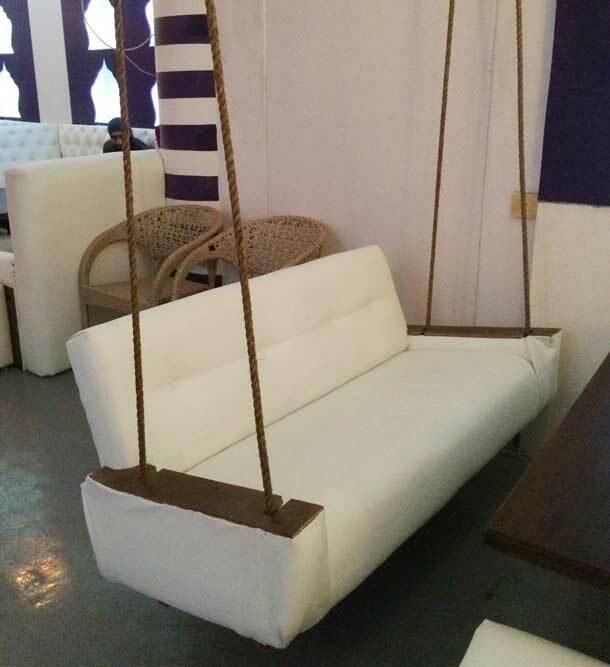 The back section with the same style seating but all in white is the non smoking section. We went through to the non smoking section and were seated at a booth suitable for 4 people. But I found the table wobbly and we moved over to a larger booth suitable for 8. This meant our little one was all over the comfy couches but it was quiet and another family there also had little kids so we were forgiven. As I was unfamiliar with Syrian food, Sultan suggested some items from the menu. 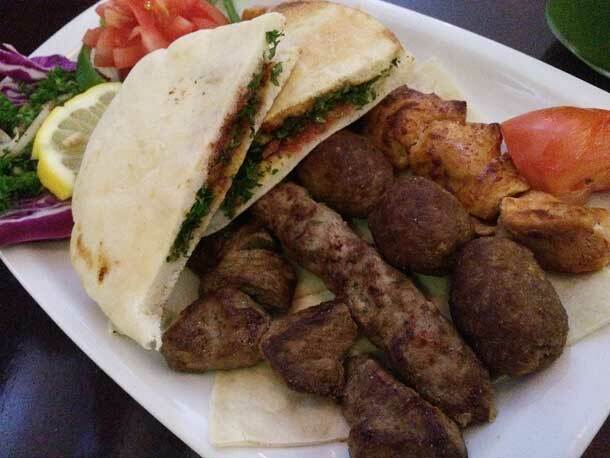 These included a Mezze of pita and several dips, a Syriana Kebab platter and an Arabian Beef Shawarma. We broke our fast with complementary dates. They don’t offer any other complementary breaker for Iftaar. 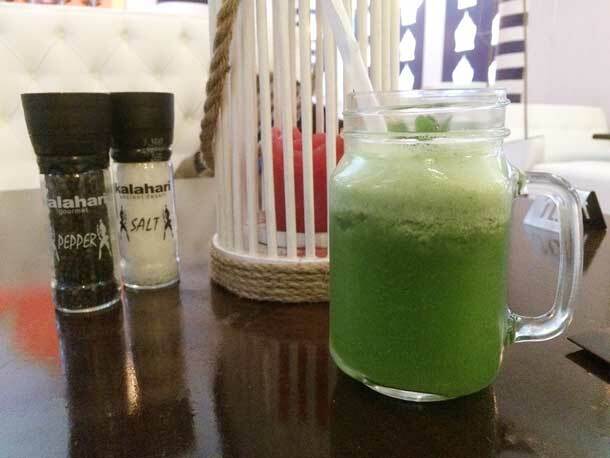 I ordered a Polo from the juice menu which took a little time to prepare but was well worth the wait. A tart mix of lemon and other juices which I thoroughly enjoyed. Our mezze and our meals arrived all together, which I am finding is quite typical of middle eastern restaurants. So if you prefer your mezze as a starter it’s probably best to clarify this at the outset. The mezze platter at R200 consisted of 5 different dips. Baba Ghanoush which is a a pureed brinjal had a delicious smoky flavour. A pink hummus of which they would not disclose the source of the pink colour, Muhammara which was slightly spicy, Tabbouleh – a finely chopped salad which includes burghul, and normal hummus. Also on the mezze was Fried Kebbeh which is a deep fried meatball and Dolmades, vine leaves stuffed with rice, onion and tomatoes. I thoroughly enjoyed sampling all these tastes with the soft pita breads which accompanied it. My favourite being the smoky flavoured Baba Ghanoush. The Arabian Beef at Shawarma R90 was presented quite differently from how I am used to. The beef fillet is rolled into a wrap and sliced into sections instead. Artfully presented on a bed of hummus drizzled with pomegranate sauce. This was delicious. The Kebab platter at R170 while meaty and filling was not my favourite. The minced kebabs had a gamey taste which is typical when cooked without garlic and ginger. The meat and chicken cubes were flavoursome though. This dish also came with a toasted pita filled with a spread of parsley and hot sauce. We had ordered a chocolate milkshake for my little one, but all they had was banana which he didn’t like because they blend it up with fresh banana and being 3 years old is till fussing about anything with a bit of texture. I enjoyed it though and was chuffed they do their shake with fresh fruit. 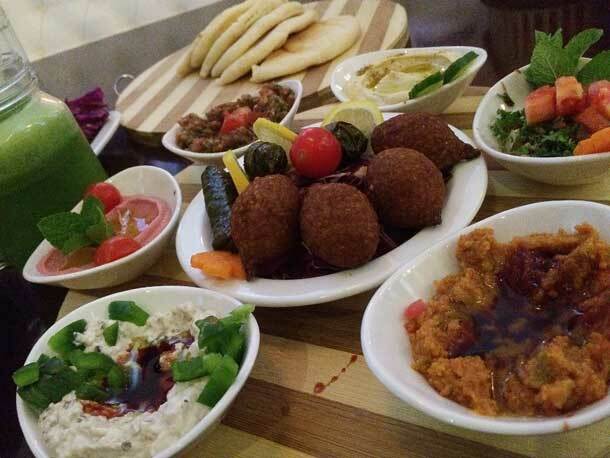 The mezze menu is extensive and includes some salads and interesting breads. 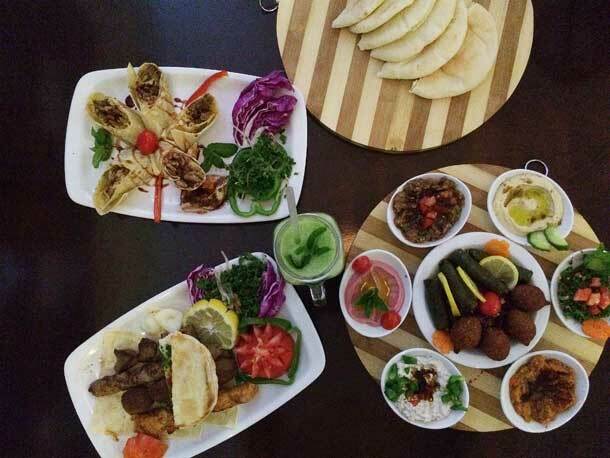 The mains menu incudes traditional meat and chicken dishes including Chicken Cordon Bleu and various shawarmas with perhaps one main suitable for vegetarians. The mezze is more vegetarian friendly. There is also a small breakfast selection that looks interesting. In general the food is similar to Turkish but I found it more spicy and tasty. 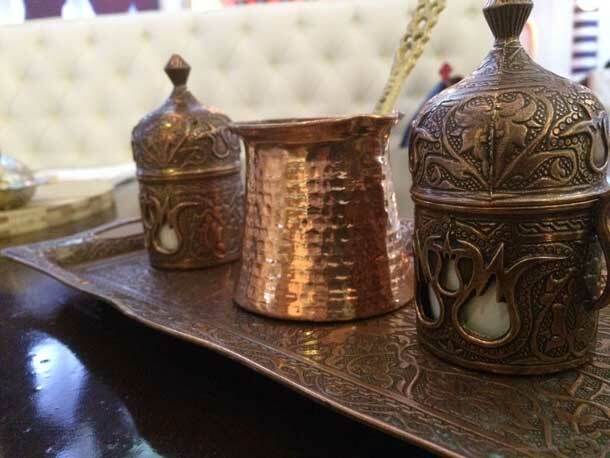 We finished our meal with some Syrian coffee which is much like Turkish coffee with the addition of elachi (cardamom). While strong and intense, when sweetened with sugar this made for an aromatic finish to our meal. 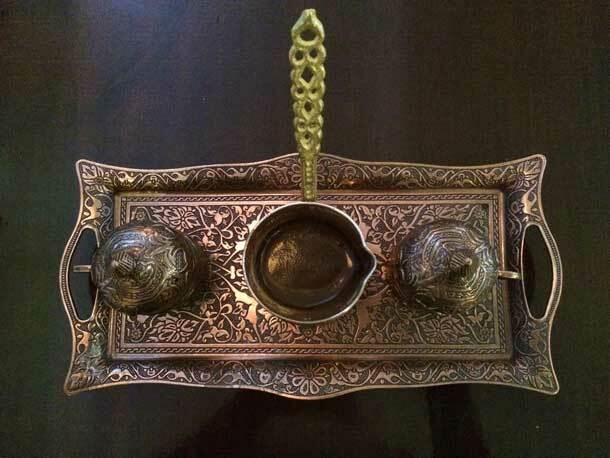 And the beautiful presentation on the ornate tray and cups made the experience quite authentic. The general vibe is quite casual and laid back although I find the prices a bit steep. 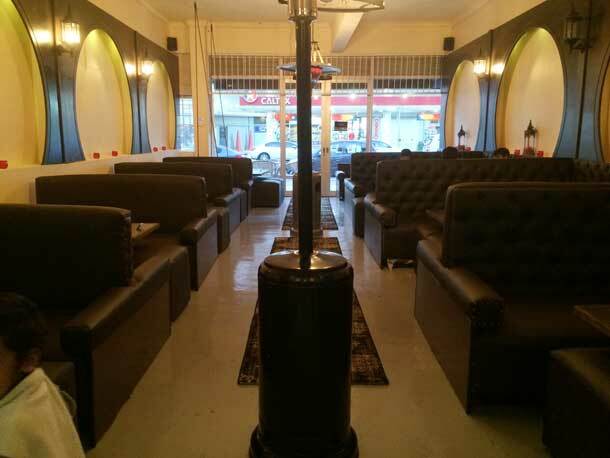 Shisha is available in the smoking section. I did not enjoy the occasional smell of smoke which drifted over but they did say they were planning to put an extractor over the dividing door or put in an actual door. They have just opened 3 weeks ago so the decor is a bit unfinished and needs a bit of refinement. With the right finishing touches this could be a real go to place. Disclaimer: I was invited and hosted by the restaurant. All opinions are objective and entirely my own. 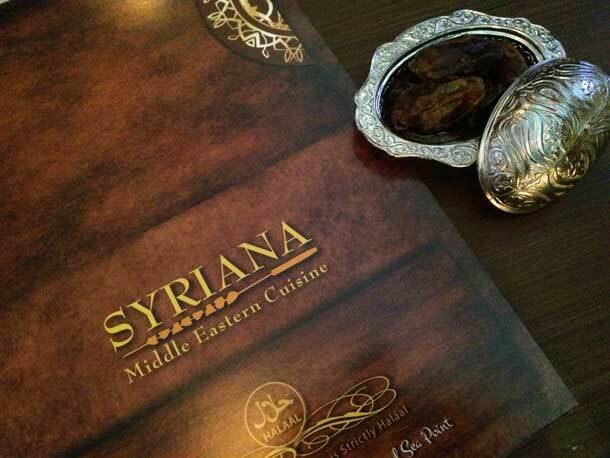 My family and I had dinner at Syriana last month. It was a beautiful experience. Relaxed, cosy setting which was child friendly. The food was delish and well presented. Looking forward to our next meal their. I wish I could give this restaurant a negative star. We had gone expecting a nice middle eastern experience, instead we were greeted by an uninterested waitress who had a body odour. We chose our seats and ordered flat white coffees, which came in water glasses. It is impossible to hold hot coffee in glass, which is why all coffee shops serve it in cups with handles. We ordered the mezza platter, which I admit I enjoyed. 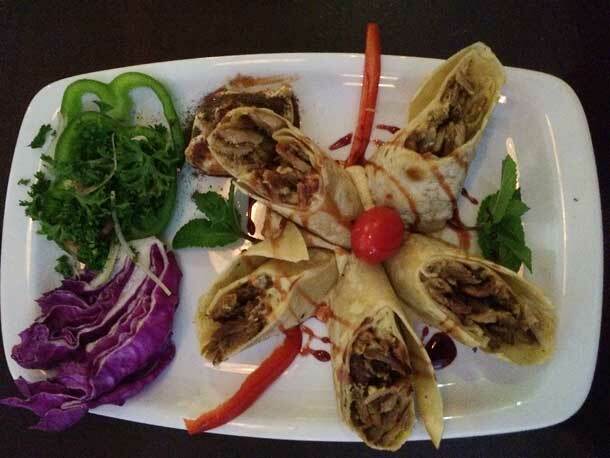 But we also ordered the chicken sharwama, which turned out to be a disaster. The chicken was old and dry and had such a weird taste. It was like chicken that had been cooked 3 or 4 times. When we complained, the manager or owner did not even bother to come and speak to us. he just took a phone call and walked into the kitchen. I will never go back nor will I recommend anyone to go here. 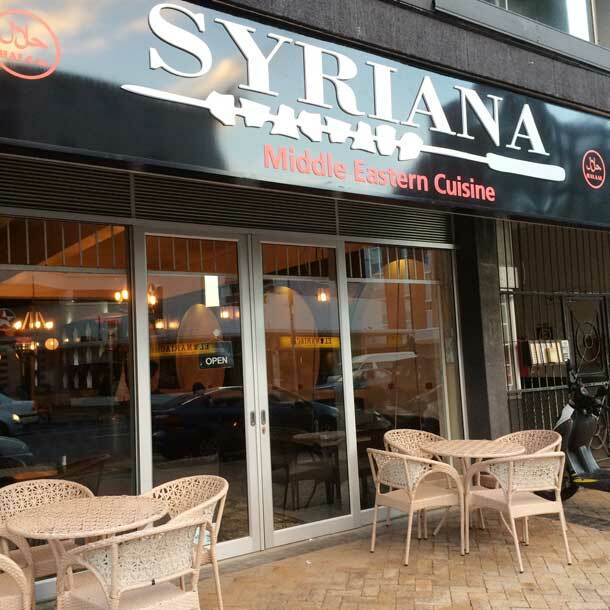 Unfortunately I did not get to eat at Syriana, as we walked in the Ocka smoke was every where as the entrance is for smoking there was no seating for the non smokers as it was full. My allergies immediately flared up and we left. I had dinner at Syriana last month, got there before the evening rush. It was relaxed, cosy setting. The food was delish and well presented. Although we had different waiters serving us throughout the time, we were always attended to. Looking forward to our next meal their.